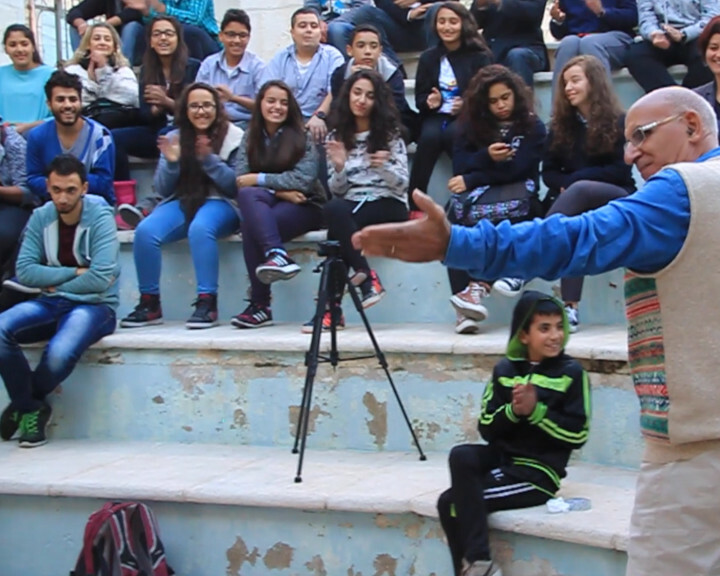 The following movie shows two scenes which were developed during the Equal in the Streets workshop in Palestine and got performed at the Kamal Nasser Hall Building at Birzeit University and at Ottoman Courtyard in Ramallah in November 2014. The first scene is about a widow woman who faces a lot of pressure from her family and her society after the death of her husband. In this scene, we see the family of her husband trying to limit her freedom of movement, her right to go to work and to be an independent citizen. They pressure her to marry her husband’s brother to avoid the talk of the town and to let him be financially responsible for the family. The second scene addresses the issue of women’s social life at night. It discusses how the family itself tries to oppress the daughter and makes her stay at home while allowing her brother to freely practice his social life. The girls’ mother calls the girl and ask her to come back home immediately because her father ordered so. The scene also shows how this gender oppression is transferred from generation to generation of the family: the grandfather, the father, the brother and even the mother herself.